A CRESCENDO OF FLAVOUR AND AROMA. Experience Essse Caffè in all its musical keys: the softer aroma of mild varieties, the harmonious notes of well-balanced blends, and the intense flavour of full-bodied coffees. With all the variations that complete the scale. The perfect symphony of elegance and modern technology, created by Giugiaro Design, with its exclusive range of capsules, composed by selected coffee blends and other hot drinks. 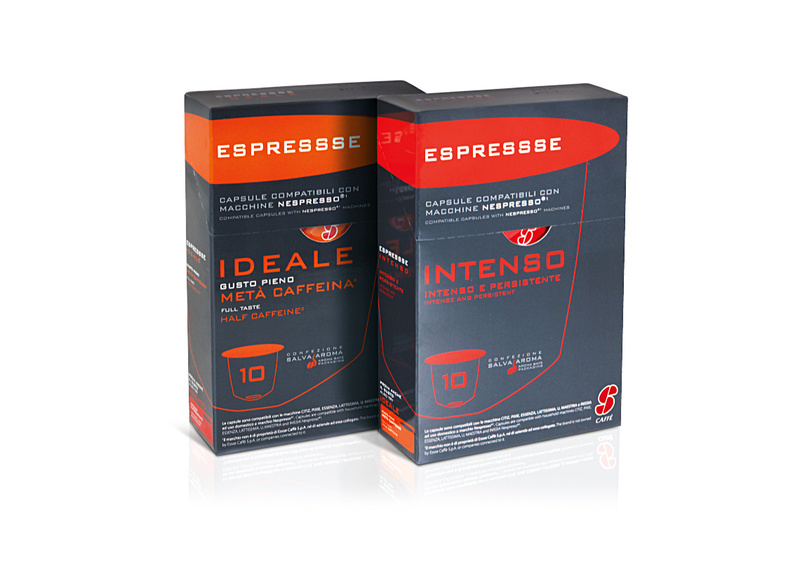 Now available Espressse, the new line of Nepresso® compatible capsules. The new Aromasafe Packaging maintains freshness, aroma and the best organoleptic properties of the two finest blends Intenso and Ideale.